Advanced driving is the ability to control the position and speed of the vehicle safely and smoothly. Advanced driving lessons are taken with a fully qualified driving instructor, over the period of time required by the driver. The advanced driving test is taken with an off duty Police Officer. 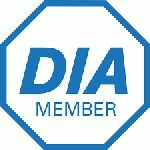 We recommend at Always Pass that you take a ROSPA or DIA training & test. The Royal Society for the Prevention of Accidents – Leading health and safety training providers. RoSPA is widely regarded as the UK’s leading voice in health and safety programme delivery, and is the longest running safety organisation with one of the widest selection of courses. Advanced driver training costs £35 per hour. Let us help to guide you through the process of becoming a taxi driver. You must apply to your local council for a licence to drive a taxi or private hire vehicle (PHV). You must also be a ‘fit and proper person’ – which means your background and character will be checked. Your council may carry out an enhanced criminal records check from the Disclosure and Barring Service (DBS). You do the training for the driving test with a local driving instructor who has carried out taxi training, or training training courses, or a local driving instructor who has taken the taxi test. 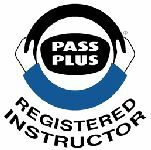 Here at Always Pass we have done all of this training, so we can guide you correctly through the whole process. The training can be carried out in the Driving Instructors car or the persons own car. We charge £35 per hour for taxi driver training. Fleet driver training is an integral component of a fleet management programme. The goal is to eliminate or reduce risks encountered by company drivers whilst at the same time, lower fleet costs by reducing accidents, fuel costs and insurance premiums.